A dramatic surge in car crime has been fuelled by high-tech thefts that do not require criminals to break into the vehicle. 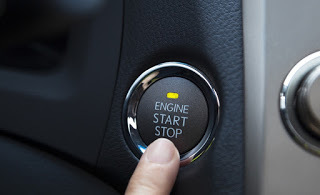 The number of vehicle thefts jumped by more than half last year amid claims that keyless technology has made hacking into modern cars ‘child’s play’. In a damning indictment of how easy it has become for criminals to steal cars, the ONS said in almost half of thefts, they are ‘entering the vehicle through an unlocked door’. Motoring campaigners and police said this showed hacking into keyless cars had become the new modus operandi of ‘digitally savvy thieves’. The figures appear to undermine claims from manufacturers that modern cars are more secure than ever.